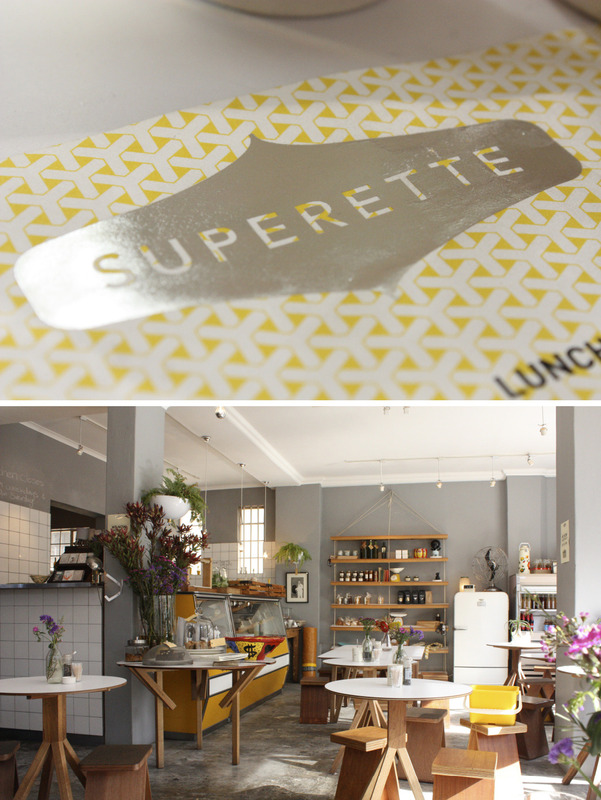 Superette is a fabulous little neighbourhood café in Woodstock, Cape Town. They’re owned by the same people who run the famously successful Neighbourgoods market. 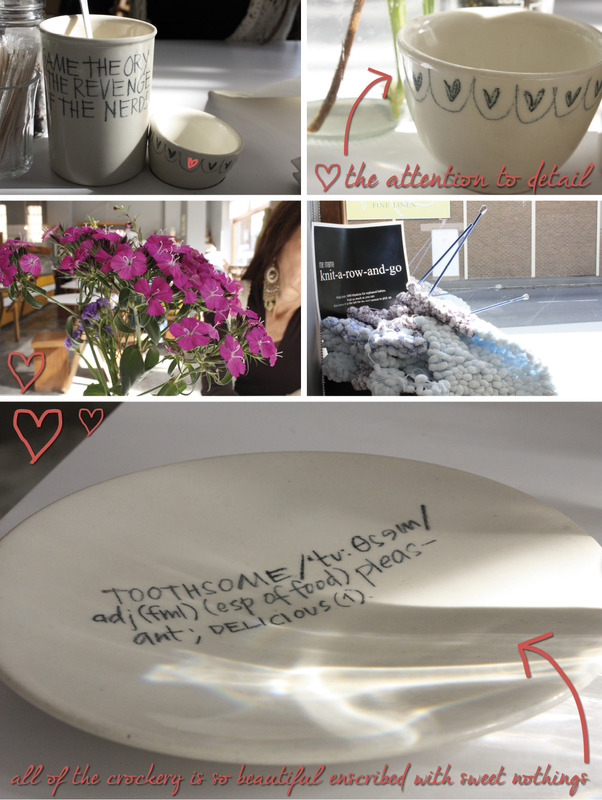 The attention to detail at Superette is just wonderful – each and every piece of crockery brandishes a simple little hand-written phrase. Food for thought. There are flowers everywhere, and their food comes straight from ‘farm to plate’ – which makes me feel super great about eating there. On the windowsill you can find the knit-a-row-and-go box, harbouring a couple of knitting needles and some still-in-process blankets. They’re trying to knit 1000 blankets for orphaned children, so you’re encouraged to come in, knit a few rows and out it back when you leave for someone else to continue. It’s such a fab idea! 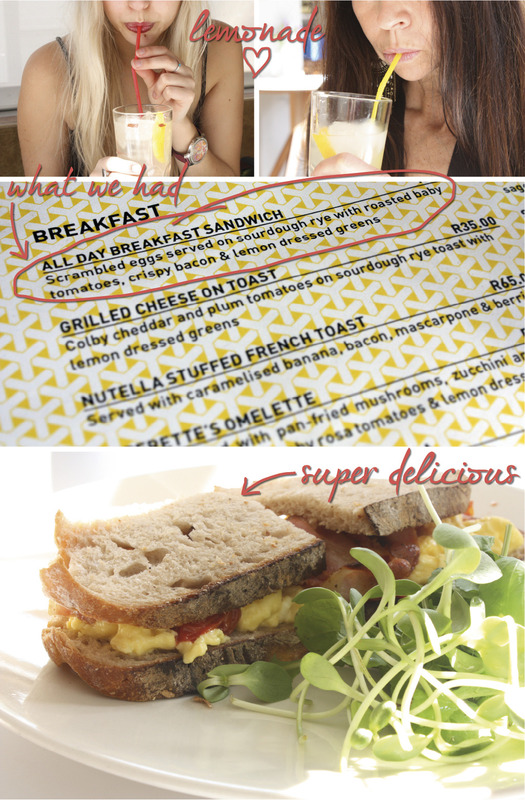 Their food is honestly out of this world – the homemade lemonade (try the ginger flavour!) is delicious. They have a wide range of gourmet options to choose from. My mom and I both had the All Day Breakfast Sandwich, which we both agreed was the best scrambled egg that either of us had ever tasted in our combined 74 years on earth (big up to Chef Lyndall Maunder). 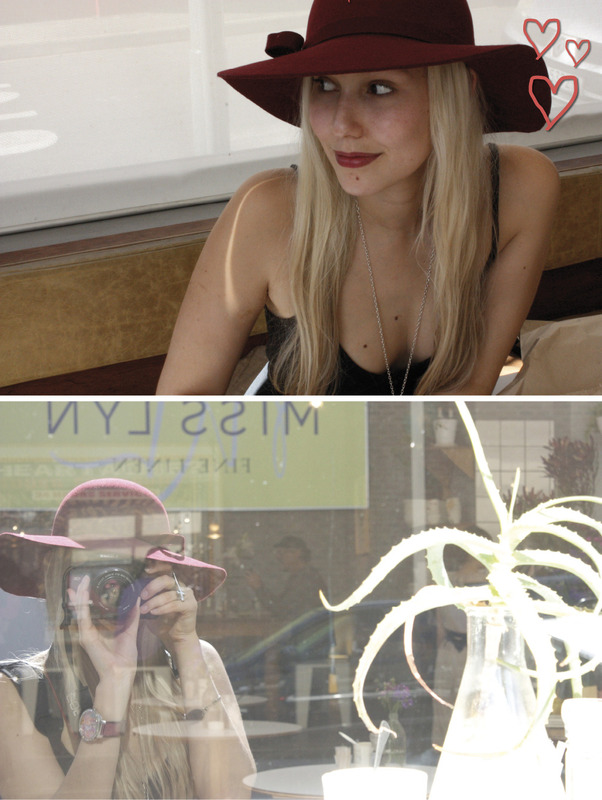 I simply adore Superette, it’s perfect for casual interviews, meeting friends or grabbing a quick bite on your lunch hour, and with their new free wifi, it’s perfect for bloggers too! This entry was posted in Food, Uncategorized and tagged bitsnbobs, delicious, food, review, superette, yummy on July 19, 2012 by Britney Beeby.